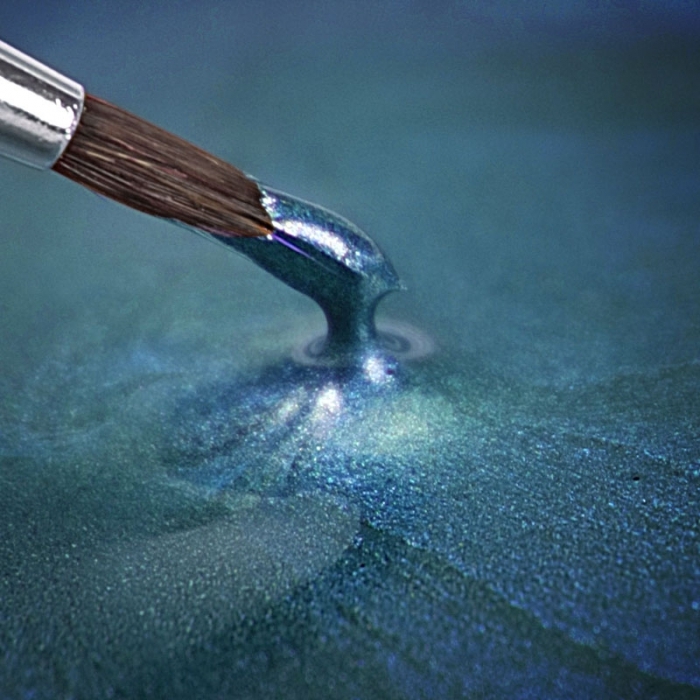 Our edible, metallic food paints are available in a range stunning metallic and pearlescent colours which are alcohol free, and once dry the colour will remain fixed with no dust or smudges. They are available in a 25ml bottle and are ready to use after a simple shake of the bottle. 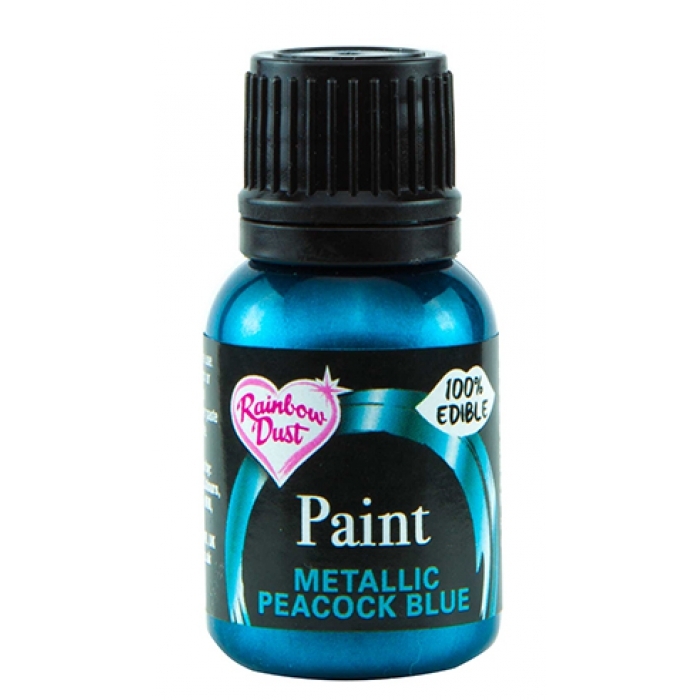 You can use the paint on sugar paste, flower paste, modelling paste and royal icing and can also be used through an airbrush (best results 0.35 nozzle) onto buttercream to give a metallic sheen to your cupcakes. To use the paint to cover the entire cake, first cover your cake in sugar paste and leave to dry ideally overnight to firm up. If creating a stacked cake in all the same colour, stack before painting as this will save on paint used. Then using the our EasyCover sponge, slightly moisten with water, wringing out any excess and putting the paint in a small palette tray load up the paint onto the sponge and dab all over the cake, reloading the sponge when needed. If you need to apply two coats make sure that you leave the first coat to dry completely before applying the second. Your cake can also use our paints in conjunction with an airbrush or the most basic way, using fine paint brushes for highlighting detail and features. All methods achieve great results, its just deciding which is most suitable to the result you are trying to achieve. The paint is also suitable to be painted onto baked cookies, biscuits, various pastries etc. We encourage you to experiment as there is no real limitation to what these can be applied to. As the paints are water based, they are kind you your brushes/sponges and are very easy to clean at the end of your project. Once dry the lustre pigment is sealed within the surface - no dust or smudges! Coverage Guide: Using the Easy Cover Sponge, we used half a bottle (approx 12ml) of paint to cover an 8 inch round cake (3 inch deep) which was sat on a 10 inch drum, also covered in sugarpaste. We applied 2 coats to get an even metallic finish. INGREDIENTS: Water, Cornflour, Preservative (E202), Citric Acid, Soy Lecithin, E555, colour (E142). Nut Free, GM Free, Suitable for Vegetarians, Kosher & Halal.